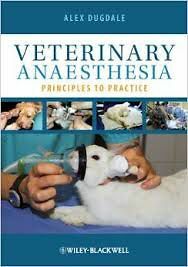 This comprehensive textbook covers the key principles of veterinary anaesthesia and encompasses a wide range of species. Information is summarised in a simple, reader-friendly format, while still providing the detail you need for an advanced level of study. The easy-reference structure is designed to help you identify and access topics of interest quickly. Over 180 photographs and line drawings illustrate the scientific principles, equipment and the techniques you need to know. A self-test section at the end of every chapter helps you to learn and revise each topic. Designed specifically for veterinary students and those preparing to take advanced qualifications in veterinary anaesthesia. It is also a useful reference for veterinarians in practice and advanced veterinary nurses and technicians.